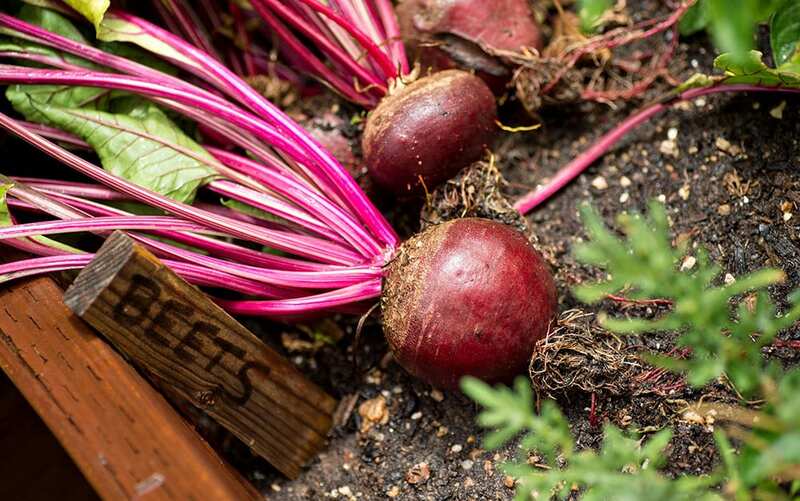 You don’t need an allotment or a huge garden to grow your own vegetables. All you need is a pot or container in fact! 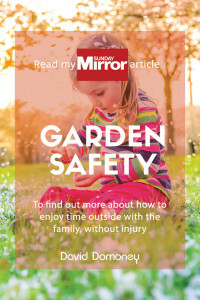 Many people think they won’t be able to grow their own produce because they don’t have acres of space and their own allotment, but this is absolutely not the case. 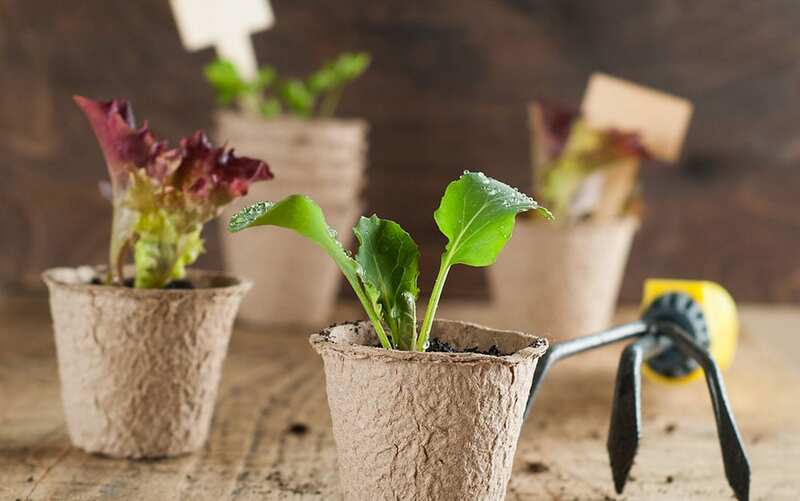 There are so many varieties of vegetable that can really thrive in containers, which could be anything from pots on your patio to window boxes outside your kitchen window. 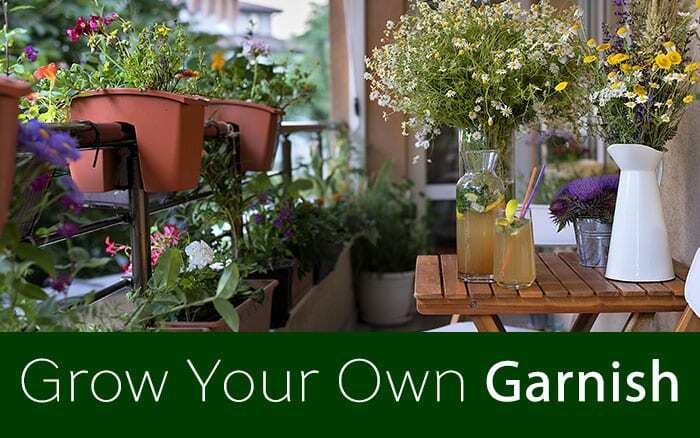 Even if that’s all the outdoor space you have, there’s still something you can grow. There’s also something really special about eating food you have grown yourself. It certainly takes a lot to beat the zing of freshly snipped herbs, or the satisfying flavour of homegrown potatoes. Here are my top 10 vegetable varieties to try in containers. You’ll be amazed how much food you can harvest from such a small space! These are really great container crops. 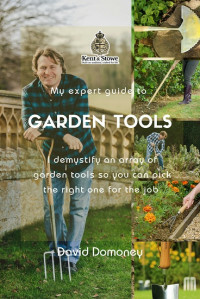 To avoid a glut, sow a few seeds every couple of weeks, starting now until July, and you’ll be harvesting them all through summer. Soak the seeds in warm water for a few hours before sowing to speed up germination. Sow three seeds together about an inch deep in the soil, about four inches away from other seeds. Water during dry spells and harvest once they are the size of golf balls. 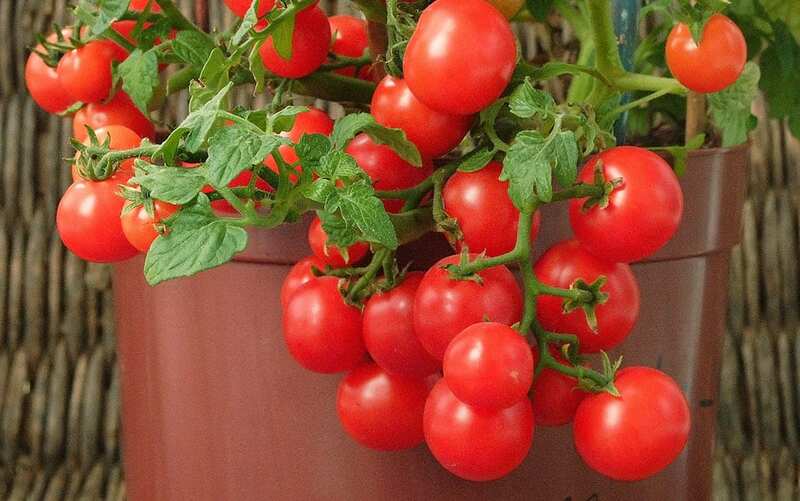 You can grow tomatoes in pots, growbags and even hanging baskets! Bush or trailing varieties are best for containers. Plant young plants in large containers in May, once all danger of frost has passed, and cover with a fleece during unnaturally cold spells. Keep evenly watered to prevent the fruit from splitting and feed with a high-potash tomato fertiliser for even more tomatoes. 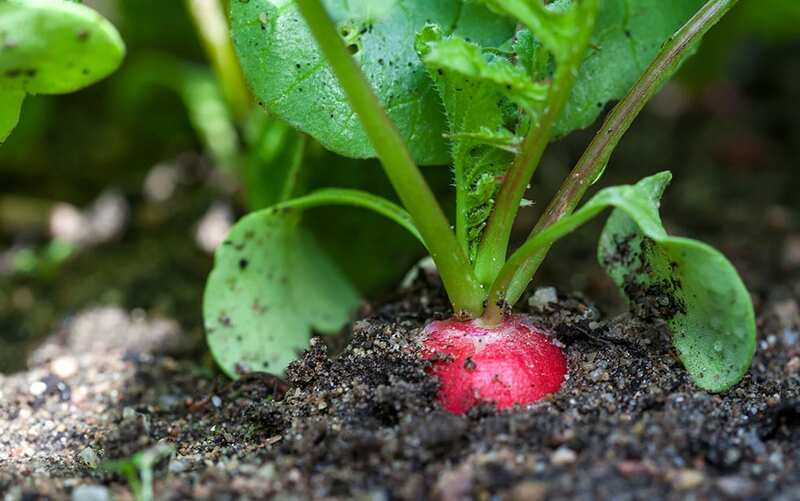 Crispy, peppery radishes are great in salads and a good crop for beginner veg gardeners. They are trouble-free and ready to harvest in as little as a month. Sow seeds about 1cm deep and at least an inch apart. Do this little and often between March and August for a continuous supply and water well. Harvest after about a month, before they mature and become woody. There’s nothing quite like the taste of homegrown chips, and potatoes couldn’t be easier to grow here in the UK. Many people think potato plants need lots of room to grow, but what they actually need is deep soil. They will grow in long containers like barrels or plastic dustbins. 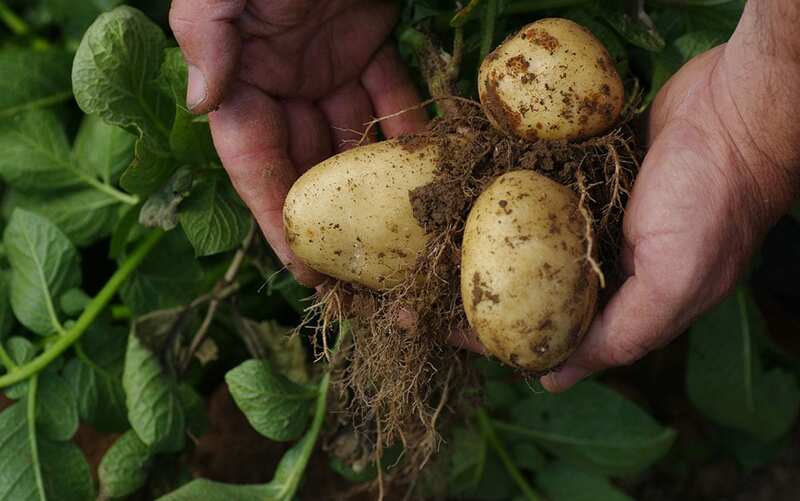 Try earlies which can be planted now and harvested in July and August. 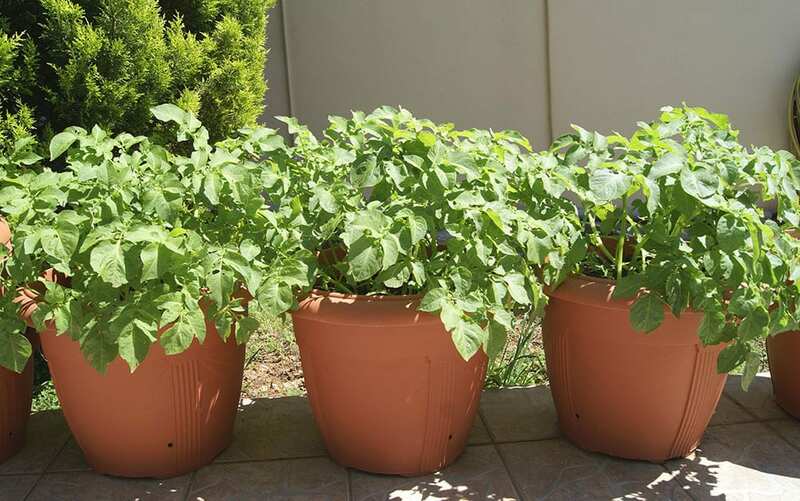 Put up to three tubers in a 40L capacity container and earth up the soil around the plant as it grows. 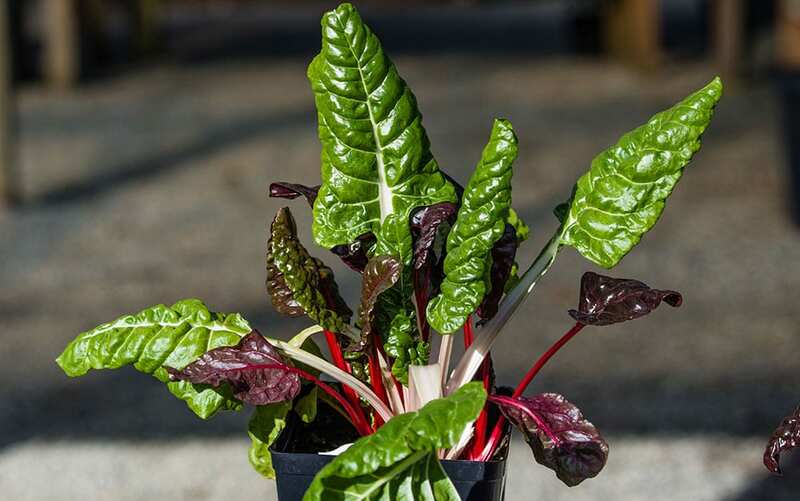 Chard is a stunning leafy green that is related to spinach and beetroot. It’s becoming more popular in the kitchen and its colourful stems make it a really attractive crop too – it even comes in rainbow varieties! 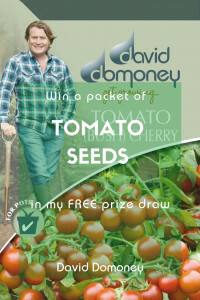 Sow seeds about 1inch deep from now until July but remember to thin out the seedlings to the distance on the packet. Harvest regularly to support regrowth and cut the outer leaves first. 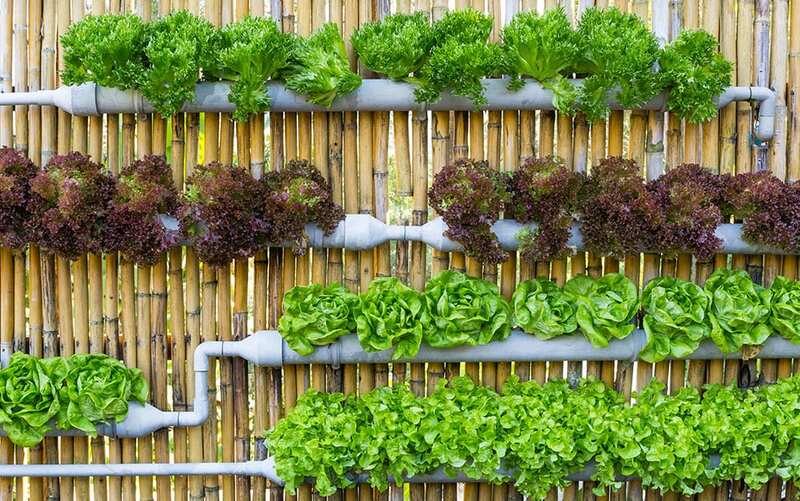 Perfect for tiny spaces as you can even make your own vertical lettuce garden! Grow your own fresh salads with lettuce plants. Sow one or two seeds in a pot less than an inch deep, at intervals so they don’t all mature at the same time. You need rich soil that is kept really moist for lettuces to grow well. Water in the morning rather than the evening and cut the head when the firm heart has formed. Like potatoes, carrots need deep soil to grow well, but there are short-rooted varieties that do well in containers. Sow thinly (2-3cm apart), from now until July, place in a sunny spot and only water during dry periods. 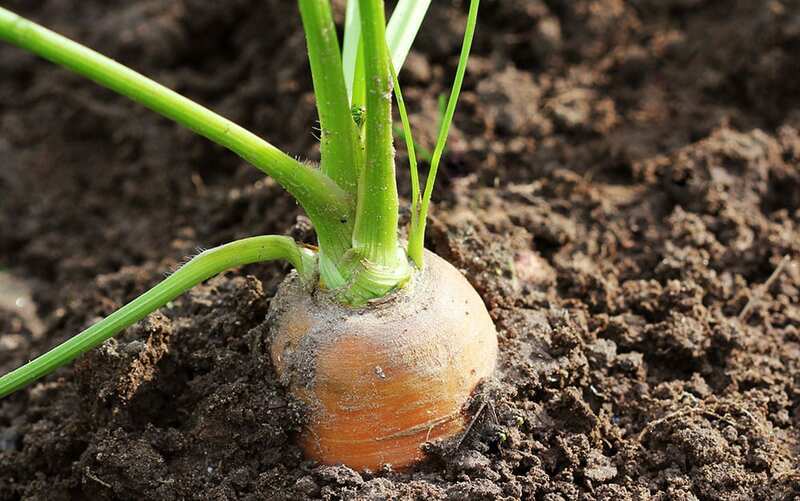 Be careful not to bruise or crush the foliage as the smell may attract the root-ruining pest, carrot fly. 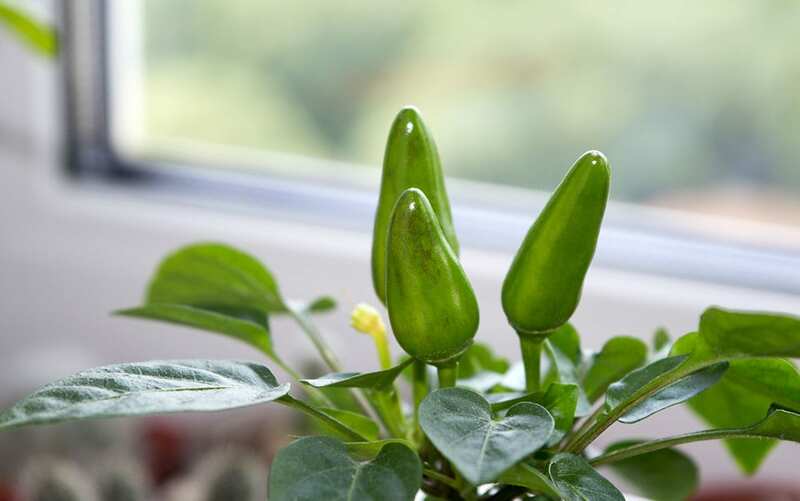 Perfect for adding a fiery kick to a multitude of dishes, chilli plants grow best under glass, in a greenhouse or on a windowsill, but they can survive outdoors in a warm, sheltered spot with strong sunlight. The warmer the conditions are, the spicier the chillies! Sow seeds indoors and then plant out into 2 litre containers from May onwards, avoiding any late frosts. 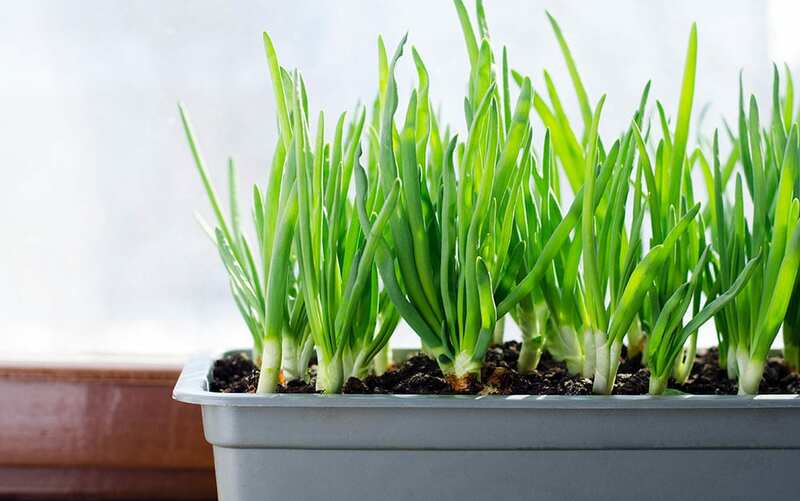 Spring or salad onions are a great crop for containers because they don’t need deep soil. They are also extremely easy to grow. Sow about half an inch deep into containers every couple of weeks from March onwards for a long supply. Keep watered in dry weather, and harvest after about 8 weeks. 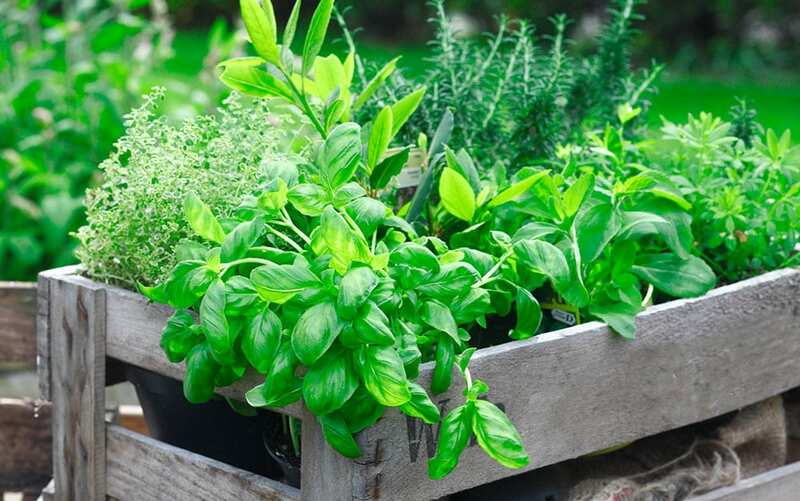 Kitchen herbs are the easiest edible plants to grow and deserve a spot on any container gardening list. Try thyme, chives, mint, sage, parsley, oregano and rosemary outdoors, and basil and coriander on the kitchen windowsill. Always choose herbs you love to cook with and keep them by the kitchen or back door, so you remember to use them. 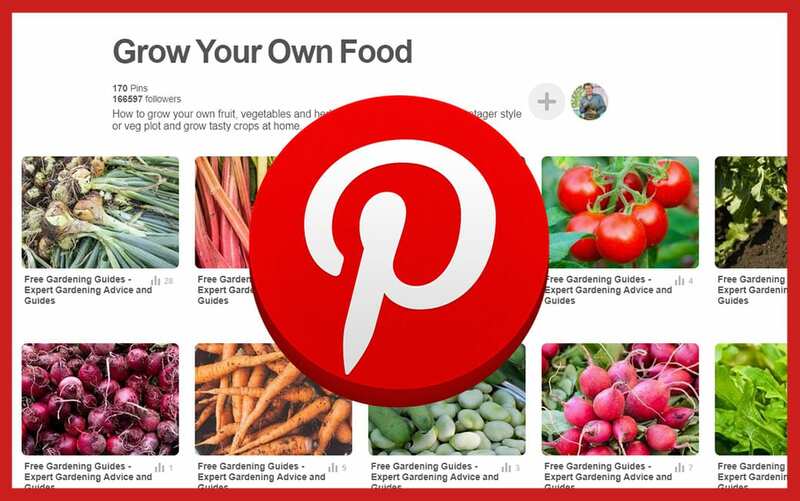 I would like permission to post your article about the 12 best vegetables for container gardening on my website. We have a hanging basket that has a trellis structure and I would like to encourage people to not only use it for flowering vines but to grow vegetables as our built-in trellis serves as a “plant cage” as well. There’s this method where you keep adding soil on top of the young stem. You literally bury it until you fill the container with soil. 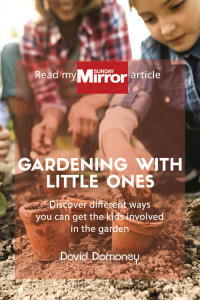 This way from a single parenting eye you will get huge quantities of harvest. Container growing is the best! This year I was able to grow different potato tubers in a galvanized bucket. Harvest turned out a lot more than I expected. Good to grow vegetables in a galvanized bucket. Here it is written about the galvanized bucket http://apromera.com/ It seems to me that this method of growing vegetables is very effective.